It was at the age of 10 that I met kendo. My father was sickly, which encouraged me to become mentally strong. I thought I must support my mother and elder sister instead of him. 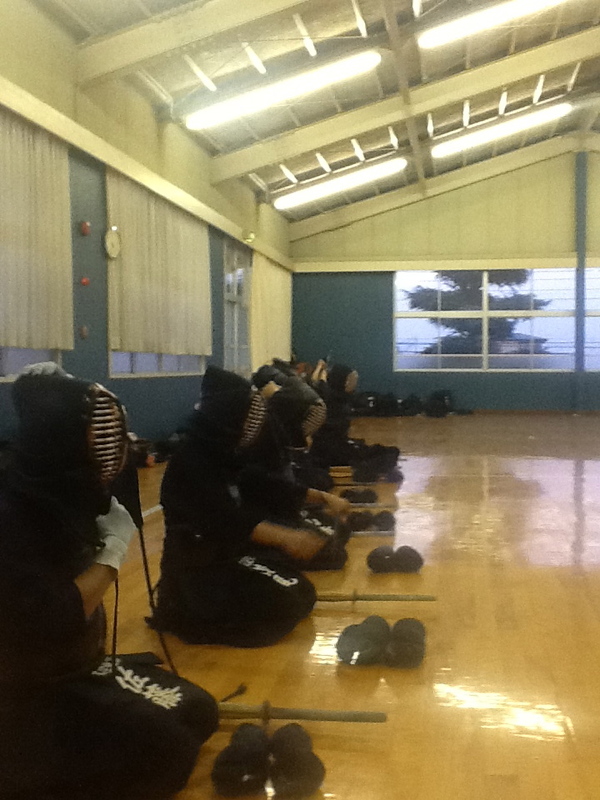 I started practicing kendo in neighboring dojo, where was famous as hard practicing. Students around me had already learned kendo since kindergarten or lower primary school, so my start might have been late behind them. Their skills were more sophisticated. I surely wanted to catch up with them. I went to the dojo earlier than anybody and washed cold floors with a wet rag in the middle of the winter. After six months since the beginning, my teacher allowed me to wear bogu. I even now clearly remember the first shiai as fukusho taken place in Nippon budo kan. The title, “All Japan Kendo Competitions for students” reminds me of my struggling just NOT TO LOSE. I quit kendo after my graduation from high school. Never did I visit my dojo. In such one day, one of dojo members informed me of our teachers’s sickenss. He would not be able to teach kendo four times a week anymore. The dojo immediately decided to close until his recovery. Nobody knew whether it would open again. 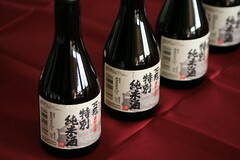 Then it was natural that we came up with the idea we held thank-you party for our teacher. I had dedicated my schooldays to be in the dojo. I answered I would attend, of course. I was sure that everyone who I practiced with was also going there. However, what I saw was few unknown beginners and their parents-nobody who I was familiar with. Previous energy and liveliness didn’t exist there. When I saw many piles of snacks and juice left in the boxes, I couldn’t help crying. I wished I could have expressed my gratitude to my teacher, eating and drinking those snacks and juice with my reunited generation. Many piles of snacks and juice gave me decision to become a high school teacher. 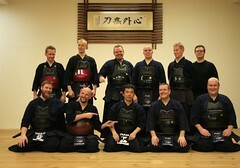 I suddenly wanted to build kendo club that is hard but fun, just like my teacher once had showed me. 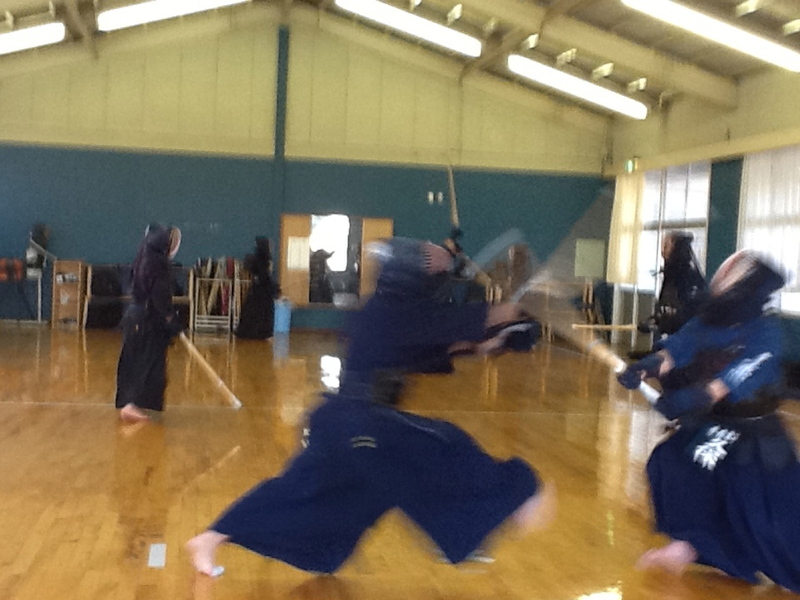 Few years later, I started my career as an English and kendo teacher in private high school in Saitama Prefecture. I used an old chinese character「劔=sword」on school tenugui I ordered. That’s because the name of my dojo is「劔忍館」ken-nin-kan. My four years were full of high motivated students and warmhearted community. The most important reason I decided to come to Finland was to observe Finnish educational system. However, my life in Pori was not only this experience. Unexpected but precious thing from looking back now is the fact that I have belonged to Pori dojo. My way of sword so far led me to the wonderful encounter. Vierailevat kirjoittajat kirjoittavat artikkeleita muun muassa tapahtumista, treeneistä, tai heitä muuten kiinnostavista asioista lajin sisällä tai ulkopuolelta katsottuna. Posted on 17.2.2015, in Kendo, Yleinen and tagged kendo, Yuta Abe. Bookmark the permalink. Jätä kommentti.